I love Fairy tales. Always have. Always will. I still remember the very first book I ever read. The Frog Prince. Oh how I loved it. Then I went on to read about Rapunzel, Cinderella, Sleeping Beauty, etc. Even now when I come across a book that is a re-telling of fairy tales, I jump at the sheer joy of finding them. 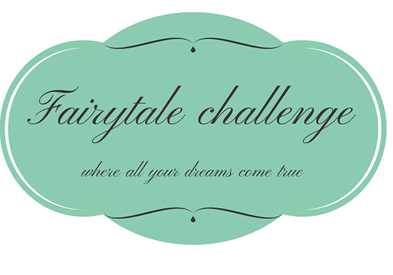 So how could I resist when I found out about this Fairytale Challenge? Though I’ve done the Goodreads Reading Challenge for the past two years, and successfully managed to complete them, this is the first challenge I’ve taken up on my blog. I really hope I’m able to successfully complete this as well. Since, this is my first time at this challenge, I’m gonna keep my goal a bit low and do the Magic mirror: and read 5 – 9 books. I’m honored I’m the first challenge (besides GR) that you sign up for 😀 Every fairytale lover is more than welcome! I can’t wait to keep an eye on all the books you read, happy reading. I hear this is the first year you’re hosting the challenge too. I hope it’s a success for both you and me.